black owned restaurants of chicago: 5 loaves eatery. There are so many amazing black owned restaurants here in Chicago and a few weeks ago I realized that I haven't actually been to most of them. Therefore, I've made it a goal of mine to check out and support as many as I can this summer! The first stop on my little tour of deliciousness was 5 Loaves Eatery. It's a small breakfast/brunch spot on the Southside, and if you drive past too fast, you could easily miss it...but I'm here to tell you that you do not want to miss out on this place! We started off with a big jar of 'Tiger Woods' to drink, a mix of lemonade and sweet tea. Loved it! It actually took my friends and I a while to put our orders in because it was so difficult to decide on just one thing on the menu. However, when the waitress came over and let us know that they were currently featuring shrimp and grits..my decision was made. Amber and I ordered cheesy grits and shrimp with a side of french toast and it was the best! Everyone must seriously head over there ASAP and try this for themselves before it's too late. My friend Grace ended up ordering the salmon croquettes that everyone was raving about online and she definitely enjoyed those as well! 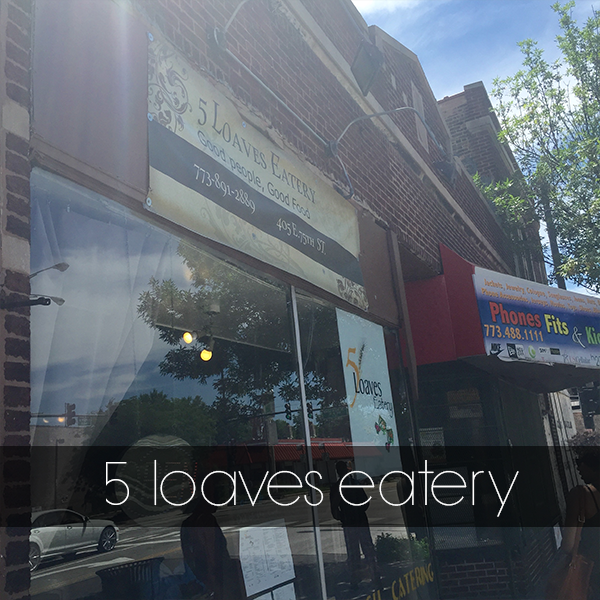 I was very happy with the food, the customer service and the overall experience at 5 Loaves. I'm actually still day dreaming about the shrimp and grits!